Save time, money, electricity, water and gain optimum convenience! Whether towels and sheets for your hospital or hotel or table cloths for your restaurant, place your linen needs in our hands. Our state-of-the-art machinery allows us to provide the highest standards of laundering, geared to the specific need of our customers. 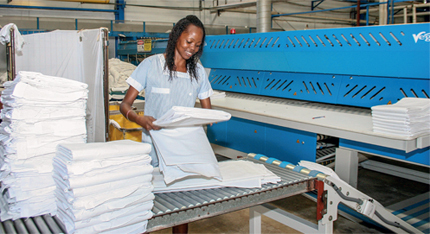 St. Lucia Linen Services Ltd.